This is one of my proudest projects yet. 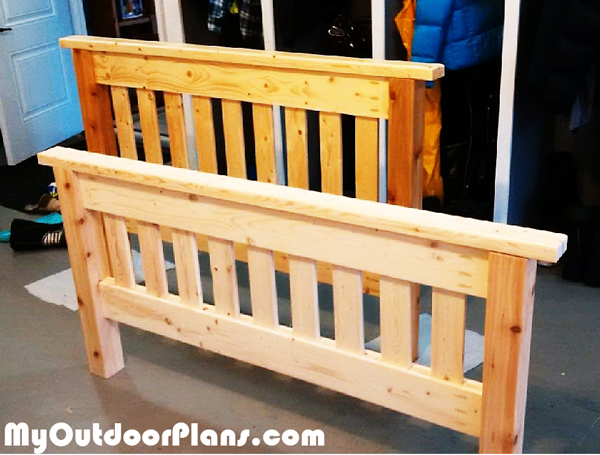 I did make some alterations to the plan based on some other ideas I saw most notably using 1 X 4 instead of 2 X 4 for the slats and 4 X 4 cedar posts for the posts. I just thought the 2 X 4’s would make it all too bulky and the extra size wasn’t needed for structural support. 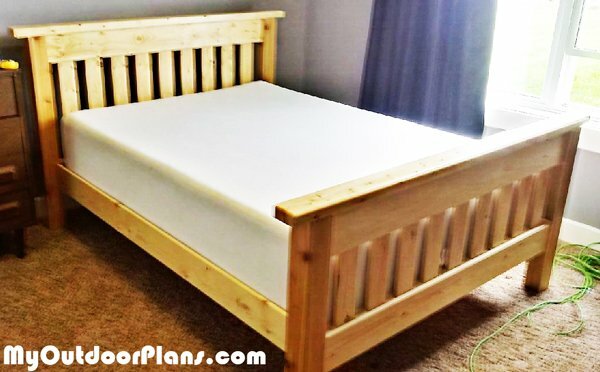 For a bed made mostly from cheap SPF lumber this turned out great. There was a LOT of sanding involved but it was well worth the extra effort. My 18 son finally gets an upgrade from his 15 year old single bed! I didn’t use stain since SPF is really difficult to get a consistent finish on but I did do three costs of polyurethane which made for a great looking smooth finish in my opinion.